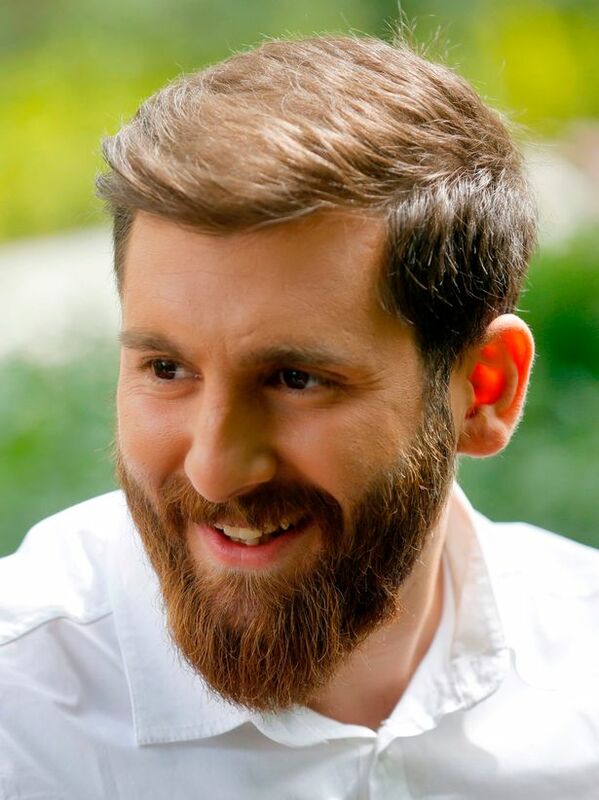 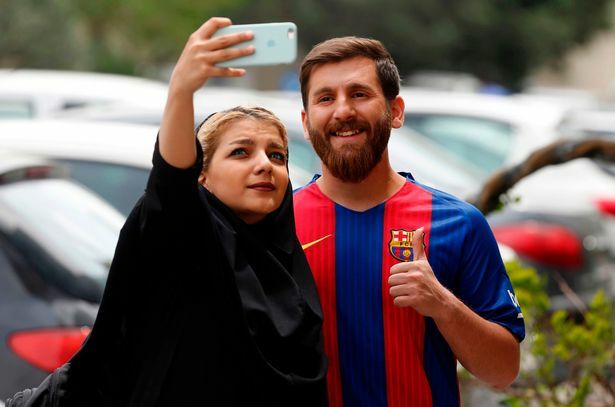 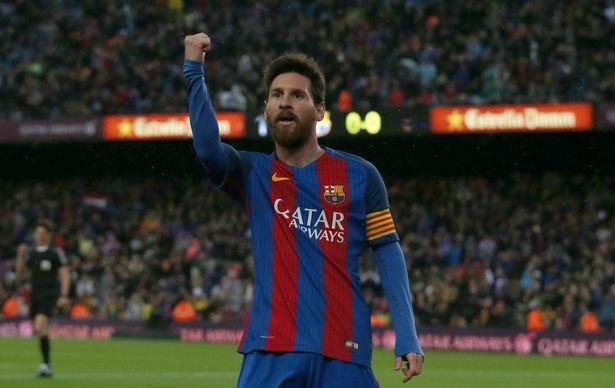 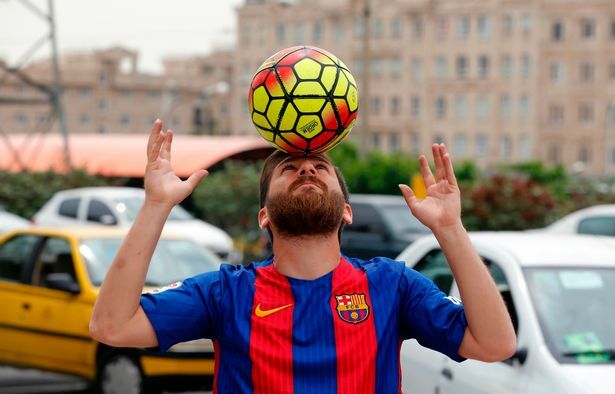 A Lionel Messi lookalike was almost put in prison in Iran for looking like the Barcelona superstar. 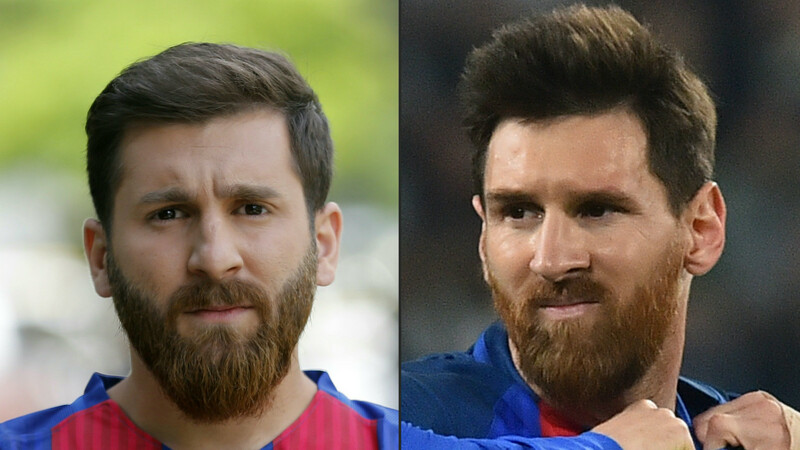 Reza Parastesh bears more than a passing resemblance with Argentine Messi from his stylish windswept hair to his fashionable beard. 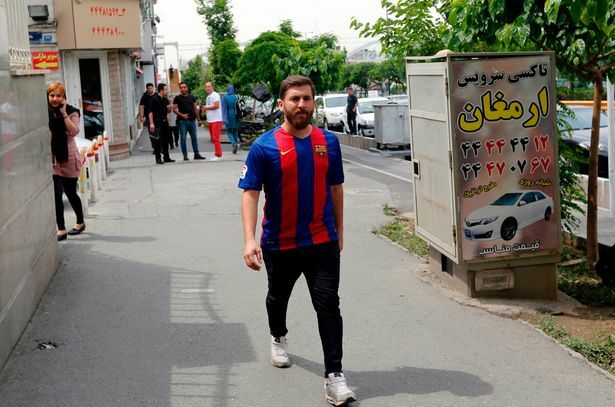 Recently he decided to go out in his hometown of Hamedan dressed in full Barca kit and wandered around the center of the town. 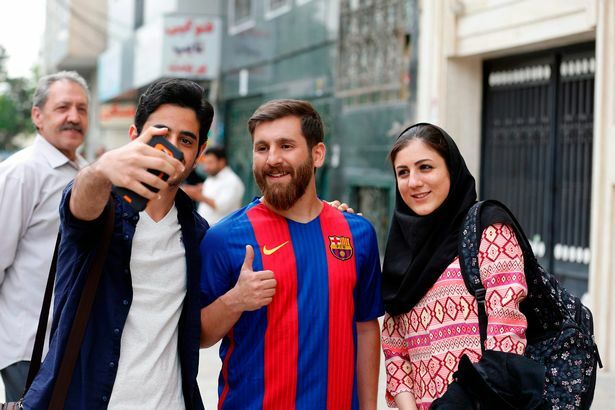 But Reza caused a commotion from fans thinking the five-time Ballon d’Or winner had visited the middle-eastern country. 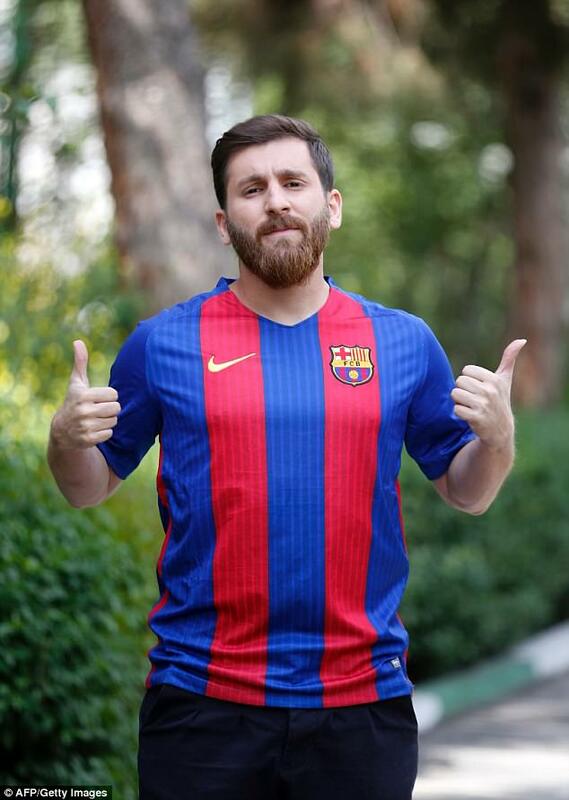 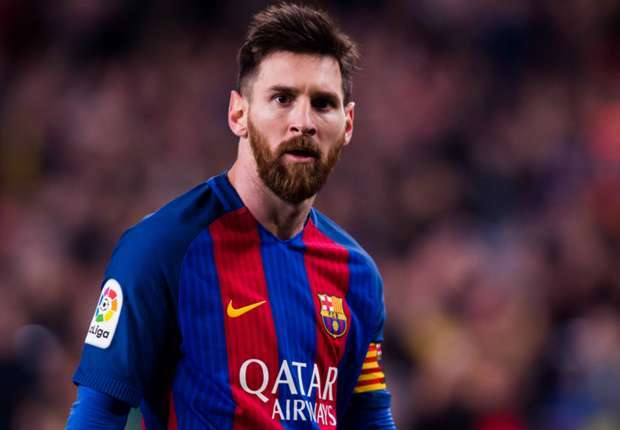 The 25-year-old student was detained — yes, detained — over the weekend for looking too much like Barcelona and Argentina superstar Lionel Messi, if you can believe it. 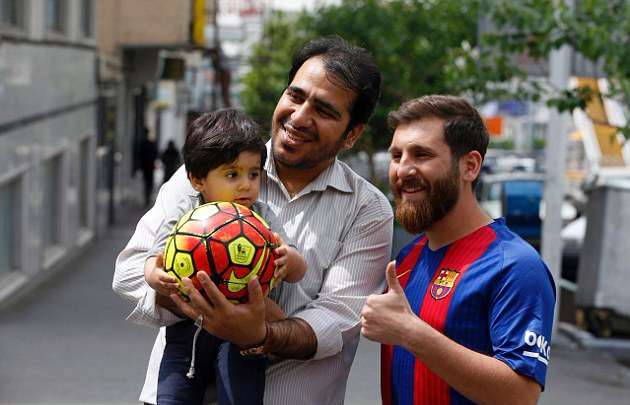 Reza Parastesh looks so much like the five-time Ballon d’Or winner that police in the city of Hamaden brought him to their station and impounded his car because of the commotion he was causing on the streets.